Of course, the James Cameron movie is the best one that has ever, or probably, will ever be made about the ship. However, in addition to the historical aspect of the movie, it is entertaining, and the audience is rooting for Rose and Jack to live happily ever after! This movie was made over 50 years ago, and it is really not about the ship for most of the movie until the iceberg strike, but is about a woman with her children and her failing marriage. Barbara Stanwyck is phenomenal as a woman trying to right by her children, and her snobby husband who is trying to stop her. Of course, when the iceberg does hit, everything changes, and the movie is both tragic and touching at the same time. I personally found this made-for-tv movie to be quite interesting. There are actually two versions of it. The version that was shown on TV was a typical Titanic movie that showed what happened on the ship from when it left Southampton all the way until it sank. However, I did some research and found out that it was actually made for the big screen, but then it was decided to release it on TV instead. The original way the movie was filmed actually began with the everyone on the Carpathia, and everyone was remembering the voyage as it happened to them, so the scenes on the ship are actually flashbacks, which really made the movie a lot more interesting! To be honest, the book of this movie written by Clive Cussler was amazing! I loved the book, and was very excited about the movie, but it really is not the same at all as the book. The best part of the movie is when the Titanic is actually raised from the bottom of the ocean, which is something that can never happen, but is sure is an epic moment that makes me watch this movie over and over again! Based on the book by Walter Lord, A Night to Remember is both an amazing book and movie. However, the movie does take a slightly different point of view because it focuses on Second Officer Charles Lightoller played by Kenneth Moore. However, when Walter Lord wrote his book, he really did his research, and even interviewed the survivors. 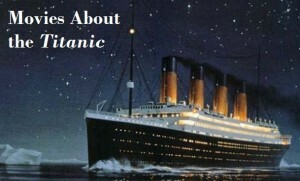 The movie reflects that accuracy because the sinking scenes were based on everything that the survivors went through that night. If you all went to really see the ship sink with amazing clarity, pick up the bluray version of this movie! Now, this movie is not the best, I have to admit I did watch it. The graphics did not look that bad, but I was interested in the movie to see what caused the Titanic II to sink. While an iceberg is what caused the first Titanic to sink, the second one ended up upside down thanks to a tsunami wave, so technically, it did not sink at all. 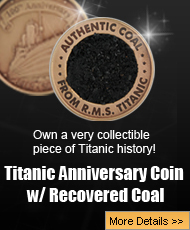 So there you have it fellow Titanic enthusiasts! What do you think of the movies I chose? These are my personal pick as the best movies to watch with the RMS Titanic as the subject. There are a lot more movies out there that I have seen, but to me these were the best involving the ship, and I really enjoy watching all of these quite often because I do love them all even if they aren’t always very good and were a disappointment at the box office. If you all want to watch an exciting movie, feel free to pick any of these, and you will not be disappointed!